Nada...first time since Christmas. I am loving my Heathered Cadet Swiftly SS from last weeks upload. @LLA why are there so many new colors right now? Is anecdote, pipeline blue, and BD just appearing in scubas you think, or is this a sneak peek of new colors? I got the heathered gray Every Yogi tee because I've practically worn my black and white ones out I got several (2-3) years ago...still the same size, but a noticeable difference in thickness of the fabric. I still love how soft it is, but it's definitely not the same as the older ones. I really want the Cadet Blue WUC but I'm in between sizes. Does anyone know if they're running sheer still? I don't want to size down if they are. I got the cadet blue reversible wunder unders! SOO excited! 20 minutes and the cotton live natural crops are all sold out except size 2 on the Cdn side. Darn it!! But I bought the Cadet Blue WUs. My first reversible WUs. My store never carries them so it's going to be a try and see. Love the Cadet Blue and Heather Pink and/or Bali combo. It's been a long while since I've given Lulu my workout wear budget. So many cool items tonight and long awaited items too, so I jumped right in. Happy for an early upoad. Ordered new WAFS vintage pink/cadet blue Power Y & WU's...the stitching is intersting, but luv WAFS patterns, so had to have. I think they are going to be super fun and funky...can't wait to get. Also ordered, reversible WU's in cadet blue/black. bought an inkwell/black pair couple years ago when a LLL newbie and returned...crazy!! so these will be a keeper this time. I've been so happy with the new items lately! I got the cotton live natural crops - love the ombre! I also got the Tuck Me In tank in Soot/Light Flare. I am addicted to No Limits so I hope this is a fun variation of one! I didnt get anything, though I was tempted by the camo hotty hot short, but I need to try those on first. I also want the pace queen tight in cadet blue, but again I need to try it on first. I think the lift ad separate bra looks scary! Will be interesting to read reviews on that. I was hoping for more vintage pink for v-day but oh well... next week! my favourite colour Anitdote is back! huraah!! What is the bra she is wearing in the pics with the heathered grey mountain tank? From the way the straps are at the back and front, it is not a Free to Be bra. Interesting, the Lift and Separate bra is back. I hope to try this in store. Is the gathered section on the legs of the cut the crop shiny or does it just look that way in the photos? Rain & Shine Jacket II in camo...I'm a sucker for anything camo. I did not see the New Lighten Up Pullover in the upload...maybe I missed it. Hi LLA, I'm from NZ and have a friend up in the US who can bring some items back for me. How long does it usually take for an order to get to you if you ordered it tonight? Would you receive it by the weekend. Really wanting the fo drizzle in the sand colour and it wasnt uploaded this week so hoping for next week. Thanks so much:)also noticed in a PN I got today that we're getting the ebb to st tank in bali green and vintage pink. Energy bra in silver spoon and speed runs in the orange check like the track attack type short. Oooh, I really like those ombre-like crops! Nothing for me. Still waiting on a Bali crb. I like the creativity of the chakra scubas, but not really what I need right now. Tempted by the camo or cadet hotty shorts but need a try on. Be careful with ordering depending where in the US your friend is; I get mine either Sat OR sometimes the following Mon. I'm in Southern Indiana. I love the *idea* of the Every Yogi Tee but I saw them in store and they're pretty thin material and I don't know if I can justify the price. I got two t-shirts at Joe Fresh (I'm in Canada) for $10 each and they're pretty similar to the Every Yogi! But maybe I should try the EY on before I judge. p.s. some days I am seriously half tempted to buy a bunch of the popular items myself to beat out the Ebay sellers and then re-sell them at regular price to people like us!!! I would love the Rise and Shine in camo, but it's not showing up as a color option on the website. Could it be gone already?? Why do I put myself through this?! Everything I wanted was sold out within the hour. I know it it's only clothes, workout clothes for that matter, it just seems a little crazy. Oh well just saved some money....looking forward to some fit reviews. Were the cotton live organic crops ever uploaded on the US side? When I clicked the link from my email to the what's new section, they were listed, but when I tried to pull them up, I got an error message. Bummer! Does anyone know how the scuba II fits? Is it similar to the older one with side stretch panels or the newer ones without? I have a 10 in the first scubas made, 5+ years ago, I have a 10 in the side panels but a 12 in the no side panels, the newer scuba stretch. Any insight? I want to order the baurdeaux scuba! OM for all bag in fatigue green!! I got the cadet blue speeds and diamond dot wups (which I'm actually thinking I'll end up returning...). Tried on the forthright long sleeve in grey last week and loved it, but can't bring myself to spend almost $100 on such a lightweight layer. I'll probably end up getting it eventually, though. @anon11:51, I'm on the east coast and it always takes a full week for my orders. @anon 11:16, there is a shiny spot on the Cut the Crops. it almost looks faux leather. I love these crops though! I didn't order anything. I was so tired and went to bed. some things sold out, which is good for my wallet. I don't need to spend the money! Luluaddict - What skirt is shown with the Mountain Tank?? Luluaddict do you know what happened to the Dance Studio jacket? It was in stock in all sizes last night.. was waiting to see if anything new struck my fancy today before buying it. But now it's off the website! Possible that it sold out or lululemon pulled it off for something? Can anyone advise on the fit of the reversible WUC? I only own the parallel stripe WUC. The last year and half worth of pants I have gotten have all been 6's and I pull them up constantly but they have been soooo sheer in a 4. This morning I wore my inkwell in the flow's and had to fiddle with them so much it made me mad. Mad at myself for buying something with an inferior fit just because its lulu. I was so hoping to see some new crb colors but it seems like only the power y is getting the new color runs. I am totally in-between sizes on that one and doubling a sports bra on a built in bra top makes me feel like I am suffocating. Maybe if they made the band potion adjustable like in some of the older tanks…. Anyone know from the MOUNTAIN TANK the striped skirt if that was previously released or its a new item??? @ anon 6:32 am & 7:32 am - looks like an upcoming item. I didn't get amyuthing but I am eyeing the lift and separate, that is one of my favorite lulu bras. It does not work for heavy impact activities. but it makes the girls look awesome. The lift and separate is the first item I ever purchased from lulu. I am hoping the bali green is still around when my $$ is in better condition. Lots of new things that look promising. thoughts on the forthright 1/4 zip? Warning about the Diamond WUs: I have the fold down version. LOVED the fit and print! I ordered a size down. After a couple of hours wearing them (casually) they started to slide. Like crotch to my knees slide! These babies grow...a lot! So wear them with the tag for a couple hours to see if you need to size down. Wish I had, bc I'd have have returned them for two sizes down. Any reviews on whether the diamond dot Wunder unders are sheer?? I'm glad they finally came out in regular rise and not hi/lo! @7:20 for the WUC in reversible do the 4's the reversible for some reason run bigger and stretch out. That's just my opinion though. You shouldn't have much sheerness because they are lined with the other color. What's the fixation for Camo jackets at this price when you can get one @ Army Surplus stores for cheap! The striped skirt was previously released in black & grey it's the Yoga Over skirt it was priced at $88, I regret not getting one and of course the price is ridiculous on Ebay. I'm not interested in this one in black and white. Ugh I wish they didn't put that silver/metal zipper on the Righteous Stripe Bordeaux Drama Scuba II RATS!!! For us who live on east coast it is hard to stay up til almost 1am to see up lead…I wake up at 5:30 to get kids ready for school and many popular items sold out…use to bother me, but honestly I end up returning most of the items I buy these days for quality. fit , ect. Sure those Ombre cotton crops will be sheer. Definite no go on the dark cadet blue stitching on the Vintage Pink We are from space YIKES!! 7:20 I own 2 reversible WUC the surge and a light green one that came out last year. I went with the size 4. 5'-3" 120ish lbs, very narrow hips. The material is softer than the regular WUC and a bit stretchier. Some of the WUC like the IPLUX have to be tugged up a bit, which is annoying. I didn't have that problem with the reversible WUC. 7:32 lulu came out with a tight fitting long skirt last year. that one in the picture looks a lot like it. Really liking the Rise and Shine jacket. Anyone know if the interior is brushed? I missed out on the Camo and I was up at 6:30am. Guess I'll be checking in stores. Would've liked Camo WUC too, but didn't see it Canada side online (unless it sold out quickly). I like the mountain tank too, but will check it out in store. Like others, still waiting on a CRB in the Bali breeze. Nothing for me this time. Anon 7:02: I just tried the rev WU Cadet Blues on. I usually wear 8s, but I've been having issues with WU slippage so I tried on a 6. No go. I can see the tag standing up AND at a half bend I see crack (sorry, can't think of a better way to say it). This is in the crappy store light. The 8s fit and looked great, and seemed opaque. But I'm so tired of pulling up my pants that it's not worth it for me. Yuck, nothing for me today. On another note, if anyone loves CRBs and is looking to mix things up. Athleta has a nice tank called the Chi Tank. I bought it in Catalina green which is very close to the Bali Green color that lulu has out right now. It's also a bit more forgiving in the midsection (but not blousy or big) for those not-so-skinny days. FYI - i wear a 6 or 8 in CRBs and I got a medium in this tank. This is nothing exciting....not a fan of these muted colors. I wanted to sleep on the live natural crops & of course this morning they're completely gone :( Oh well, as much as I like them, they aren't an item you could wear too often so it's probably for the best. I really like how lulu is putting black logos on dark items now. I haven't seen them in person but from the pics it is a lot less annoying than the silver logos on dark clothes. I would not purchase items with an obnoxiously placed bright logo but may consider if it's more subtle. Seems like lulu is heading a good direction finally!! thank you !!! It looks like I might buy something!!!! Eeeeeee also looking forward to that skirt! 2 anon 7:40 am - Granted I tried on my size down with pink undies but they came up rather sheer on me. I didn't find my aquamarine reversible WUC a size up item from last year, in fact they felt pretty snug. The material is thicket and softer, not c-thru but you can see the blue shining thru on the black side when you're bending. I bought the ombre natural crops, pink flow n go and couldn't resist the camo hotty shorts. 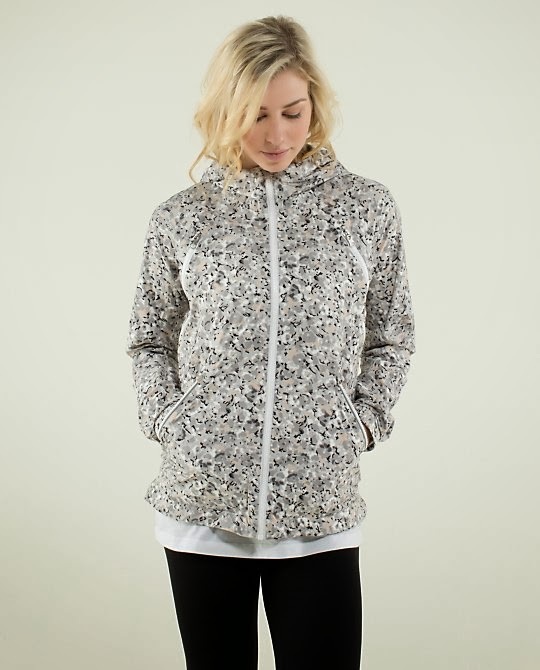 Would someone be able to angel me a Rise and Shine jacket in Camo, size 6? My store will not get the jacket (hot weather store--Arizona). I of course am willing to pay extra in order to compensate for your time, gas, etc. I just don't want to have to buy from eBay! If interested please email me at foxyfitnessmal @ hotmail.com (no spaces). Thanks! Does anyone know what the difference is between the color "antidote" and "split pea?" (They look pretty similar on my computer screen.) Thanks! Heaven forbid a company tries to brand it's own creations with a tiny logo. Just do it! compare that to lulu's logo, and it's barely noticeable. tried on the new scuba II's- i personally don't like the new longer length. i like the scuba looking a little more cropped- NOT like a 'stride' jacket length, which is what the new one reminds me of. Re: Karin's comment about Athleta's chi tank--I've been buying those because they come in a longer length, are unstinkable & so soft! Coral sizzle is close to very light flare. I wear 6 in CRB & small in chi tank (though I like a tighter fit). Speaking of, if Athleta is stealing lulu's good designs, I fear lulu is stealing Athleta's bad designs with the chakra scubas. Too earth mama for me! I tried on the diamond dot WUs and they were not sheer but they were very thin. These definitely do not smooth out. I also just purchased the chi tank from athleta! I got the light blue striped one. I'm very petite and I've always loved the lulu 105 singlet but I always drowned in it. The chi tank is a nice substitute. It's really soft and I love how the hem swoops down in the back. I will definitely be buying more of those! I didn't get a thing this time around...but I'm REALLY hoping the Antidote is going to come in other things besides the scuba! LOVE, LOVE, LOVE that colour!!! The Athleta Chi fits more form fitting than the 105 F. I have the 105 F in 4 colors in size 4 and bought the light blue stripe Long Chi in XS. I bought both the long and regular and stayed with the long. I will definitely buy more. I am 5 ft 6 and 130 lbs. 32B chest. For those of you buying the Athleta Chi, is it really thin and sheer? I tried on a white one in an XS (I wear a 6 in CRB) and I remember it being fitted and super shear. 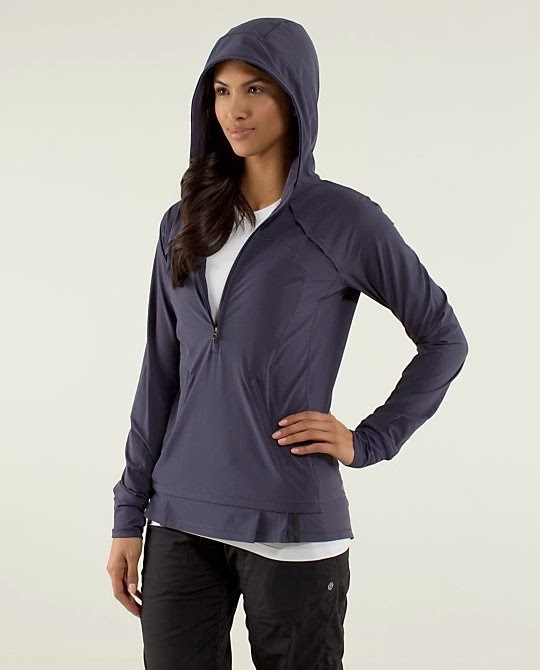 I recently purchased the Athleta one that is more like a swiftly. It has grubby dots so it doesn't ride up. Mine rode up a lot paired with a pair of shake and break shorts. I's buy more swiftly's but they ride up on luxtreme.. I guess I am never satisfied. I have been waiting for some good crb colors..not super excited about the heather grey but love the one heather one I do have from years ago. The chi tank from Athleta is all polyester with some spandex. i tried it on at the store on 5th ave NYC. It looks like a CRB, but it is nothing like it, it is a bit sticky feeling. I find that polyester workout clothes tend to hold odor. 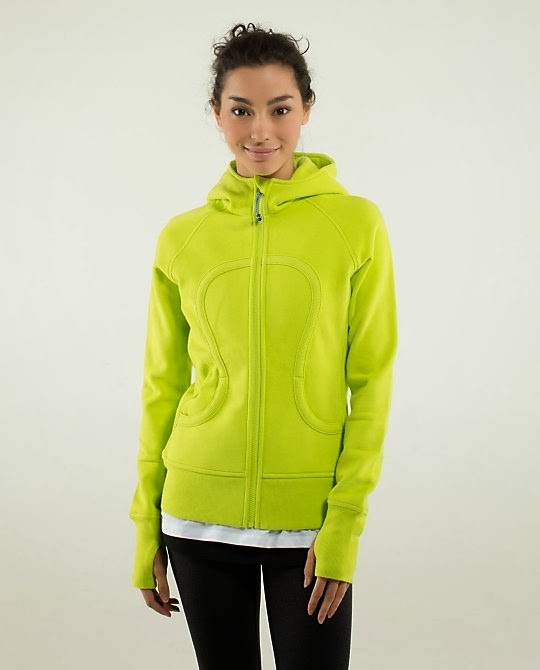 Athleta is totally nocking off lulu. Received my Live Natural Crops today. Love them! They will likely be a size up for most, I find they fit on the small side. LLA, do you know if the Reversible Cadet Blue WUC were uploaded on the Canadian site? Or did they sell out?